It’s that time of year when it is way too hot to turn the stove on. 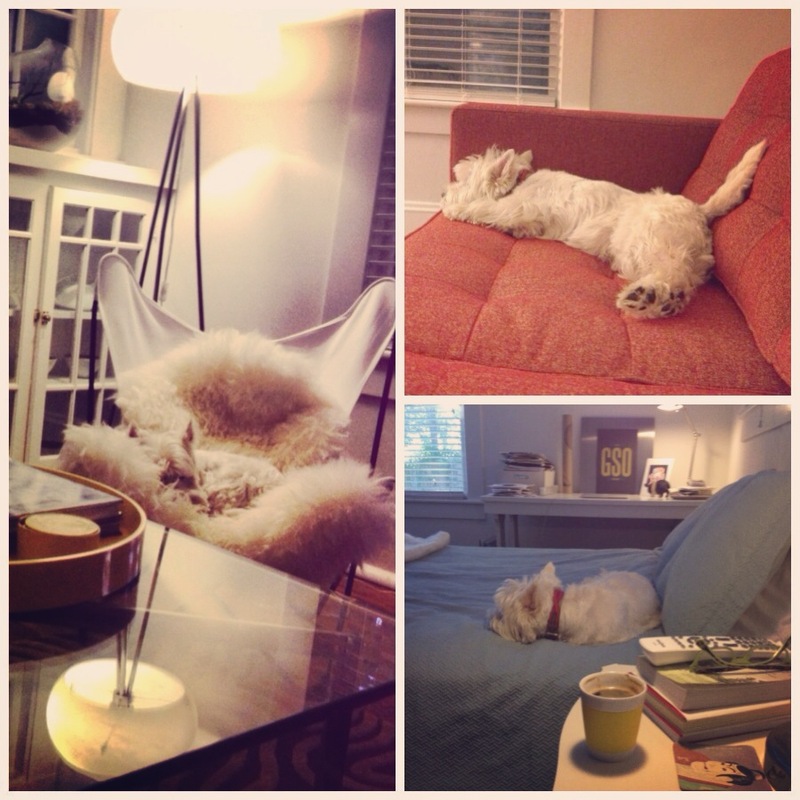 Winston agrees has he has started the Dog Days of Summer with extreme napping (see proof in the photo above!). The past couple of weeks I’ve been making big batches of chicken salad, pasta salad and humus that I can pull out of the fridge and use for cold no-cook lunches and dinners. These recipes are also budget conscious for those who are saving dollars for summer vacations, extra cold beers and afternoon iced coffees. What recipes have you been cooking for the Dog Days? This Saturday I put together this impromptu pasta salad with staples from the kitchen and garden for my friend Margaret’s birthday lunch. 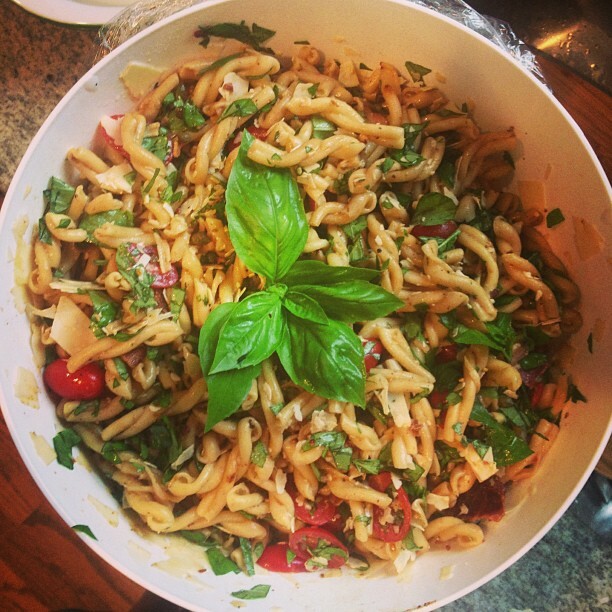 To me, pasta salads really require no instructions. The key is to cook the pasta salad and immediately dress it – you can use any of your favorite store-bought or homemade salad dressings. Then, just toss in veggies and herbs from the garden, crunchy nuts or seeds from the pantry, olives or capers for an acidic bite and good shredded parmesan cheese. For the birthday celebration, I put in lots of bacon to take it up a notch. No one complained. Boil pasta to al dente. Immediately toss into balsamic dressing and refrigerate. Once cooled, add tomatoes, bacon, capers, basil and cheese.